Yesterday, Farmer Kev delivered the last of the summer CSA vegetables, which were actually fall vegetables—potatoes and a variety of squashes, all things Clif and I really love. However, my heart was not too heavy over this last delivery as Farmer Kev, for the first time, is expanding his CSA into the fall and winter. Kevin and his trusty band of workers—some paid, some just helping out because they want to see Farmer Kev make a go of it—have been busy blanching and freezing vegetables for the winter CSA. In addition, there will be root vegetables—carrots, potatoes, beets, and squash—delivered until February. Clif and I are signing up for the winter CSA, and we are doing it for a number of reasons. First, and foremost, Farmer Kev is one of our favorite farmers. We’ve known his family since he was very young, and what a pleasure it has been to see Kevin become a dedicated and hard-working farmer. This reason alone would be enough. However, close behind comes the value of Farmer Kev’s CSA. His vegetables are fresh and organic and delivered. There is no way I could buy the equivalent for the same price at a farm stand. Again, this reason alone would be enough. Finally, there is the larger picture—where our vegetables come from and the miles they travel. In grocery stores, many of the fruits and vegetables come “from away,” really far away, as in California, which over the years has become the country’s agricultural hub. Now, I am grateful for all the bounty that comes from California, and I am especially grateful for the labor of the underpaid workers who harvest the fresh vegetables and fruit. But there is the little problem of climate change—actually, a big problem, one of the biggest yet. It takes a great deal of energy to transport those vegetables across the country, and there is a lot of carbon spewed into the air as a result. No one can see the future, of course, but what if the drought continues? What if California stops producing so much bounty? How will we eat? What will happen to prices, which have already risen 40 percent over the last fourteen years? These questions should worry all of us. Maine and indeed New England is blessed with abundant rainfall. Sometimes too abundant, as those of us who want to be outside in the summer like to grumble, but really we have no cause to complain. Most of the time we get the right amounts of rain to produce bountiful crops, and this year, in particular, is bursting with tomatoes, one of my favorites. With careful, mindful, and prudent land management, Maine could grow a lot more of its food. (Once upon a time, in the mid-1800s, Maine was even considered the breadbasket of New England.) 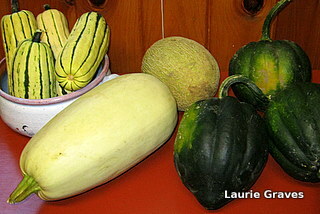 Sometime soon, if the drought in California continues, we might very well have to grow more of what we eat. But—and it’s a big but—the infrastructure to do this can’t happen overnight. Fields must be cleared, soil must be fertilized, and people need to learn the art of farming. One isn’t born a farmer. It requires years of study—formal or informal—and lots of hard work. Supporting Farmer Kev, and other farmers as well, feels like, well, an investment in the future of food in Maine and New England. This might sound like overstatement, but I don’t think it is. In the years to come, we might be extremely grateful that so many young farmers have decided to settle in Maine, and right now, we should support them in whatever way we can. And, that readers, is reason enough to join Farmer Kev’s CSA or any other CSA, or that matter.